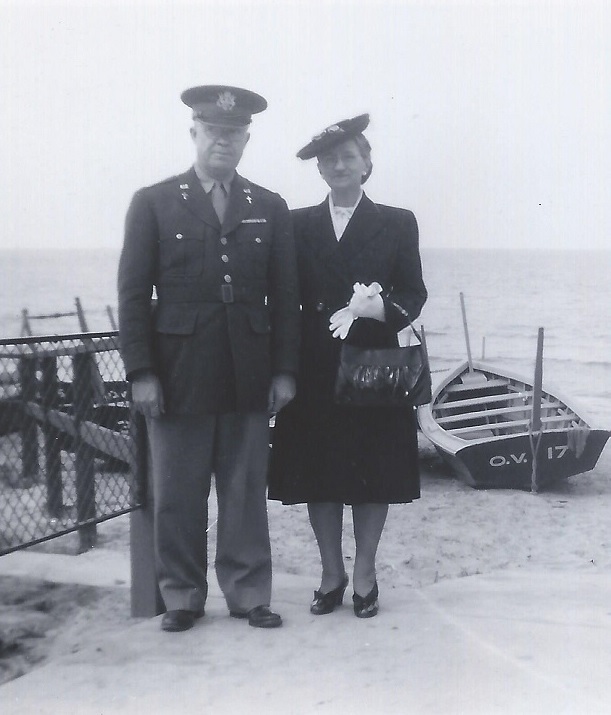 I just received several pictures, most apparently belonging to the same person: N. T. Adams. I haven’t been able to find any information on him yet, but it looks like he served in World War 1, though not as a chaplain. The pictures from World War 2 show that by then he had become one. 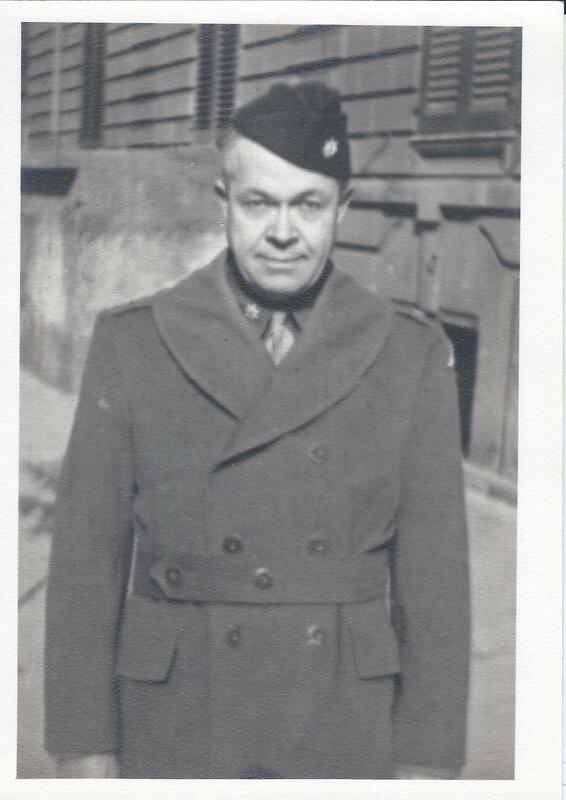 It’s neat to view his pictures and see his progression, not just from WW1 to WW2, but from North Africa north into Europe as he accompanied his unit as their chaplain. 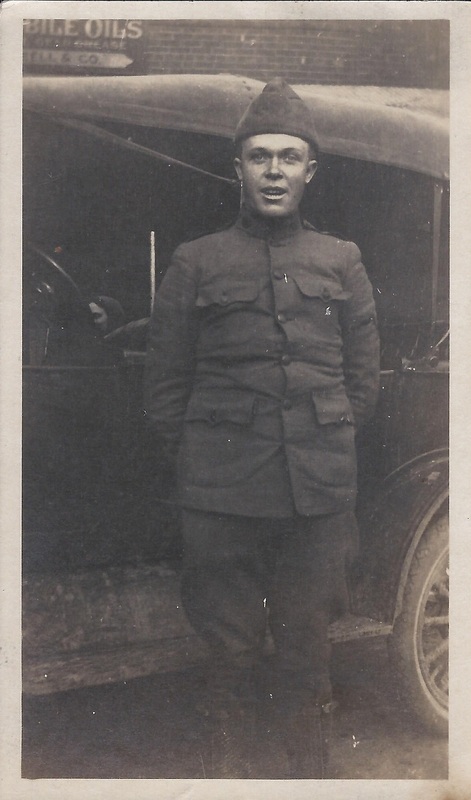 I’m nearly certain that the man in these pictures of a World War 1 Soldier is the same man in the later pictures from World War 2. He’s aged, but his facial features seem the same, particularly his nose, and the way the front of his cheeks frame his mouth. 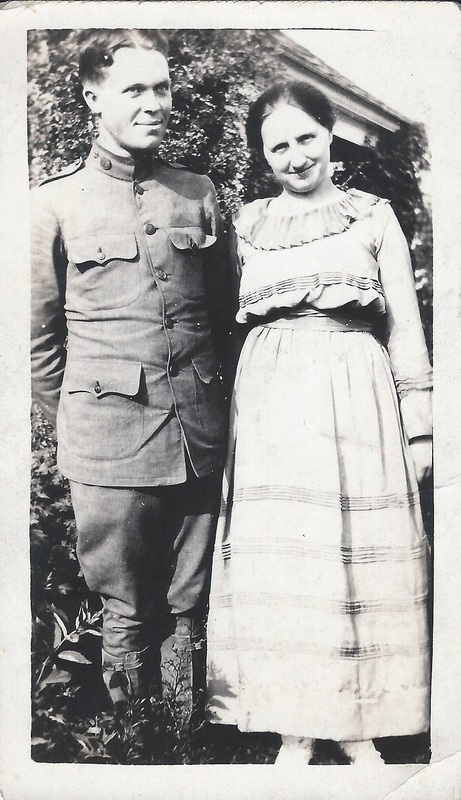 Also, his wife (perhaps girl friend in the WW1 pictures) looks like the same woman in some of the later photos. The tilt of her head, smile and eyes seem to all match. What do you think? 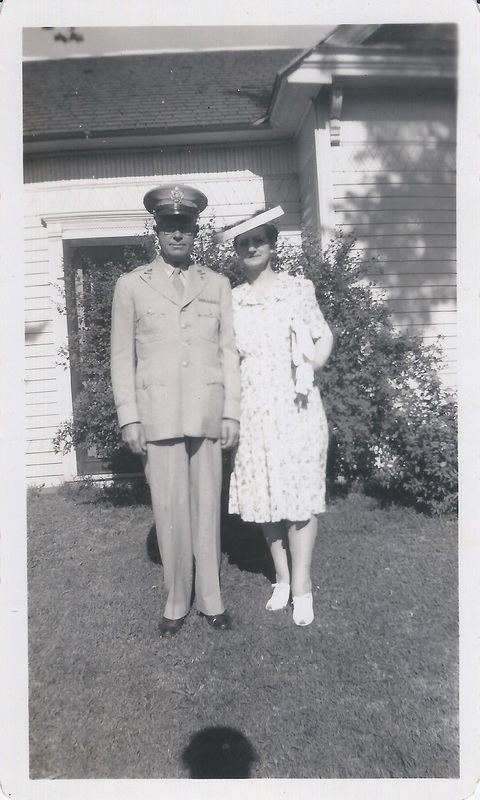 The photo on the left seems to be at their home in the U.S., perhaps before leaving for war and the one one the right appears to be at some vacation location, perhaps upon his return or on leave. However, since these particular pictures are not labeled or dated, it’s just speculation. It was these two pictures that helped to convince me that the man and woman in the WW1 pictures are the same. 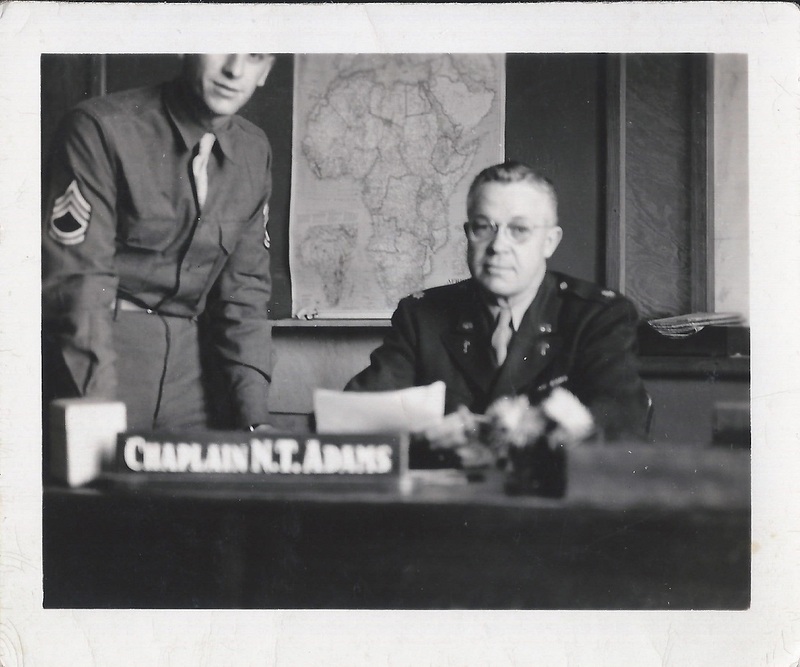 In all of the pictures of Chaplain Adams, only two show any shoulder sleeve insignia. In Algiers, he was in the 1st Armored Division. 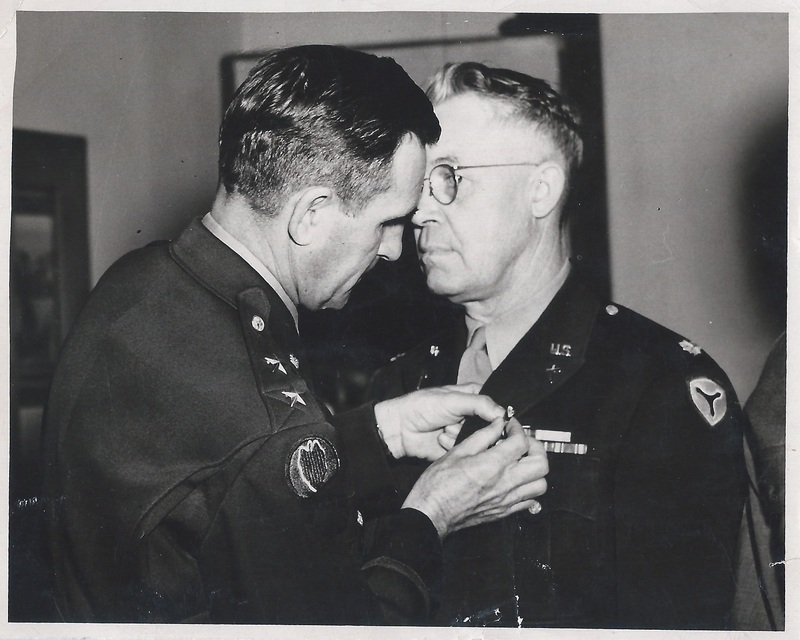 The later picture with him receiving an award from General Irvin, he was in the 3rd Service Command. “Bivouacked in forest near Algiers” Chaplain Adams in the center of the three men standing. “Dinner at Anfa Hotel, Casablanca.” Chaplain Adams is on the left with a Brigadier General to his left with two other chaplains at the table. In July 1943, American, British and Canadian forces invaded -and liberated- Sicily on their way to the Italian mainland. 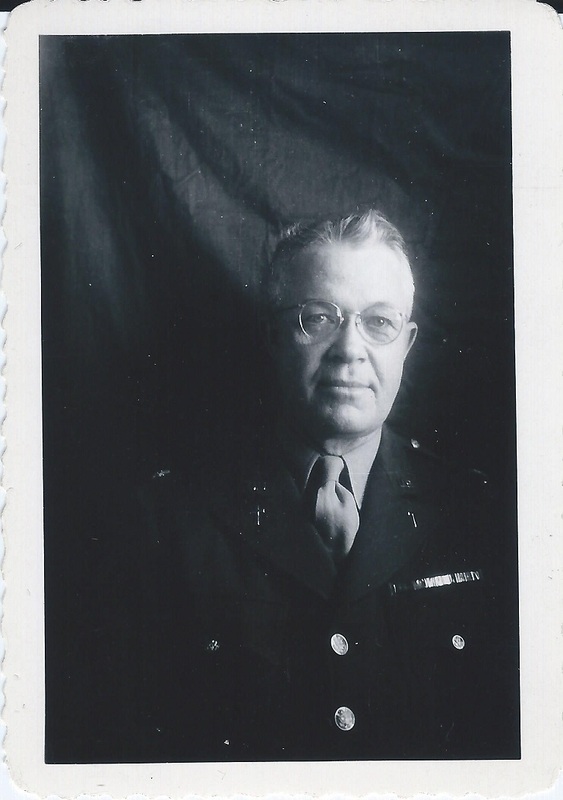 Chaplain Adams was again with the troops moving through Sicily. “It is I in the pulpit.” Other pictures of this church are dated February 1944, so this was likely also in Sicily.